The beginning of a rare interview with one of the world’s few remaining wizards. What secrets will he reveal? 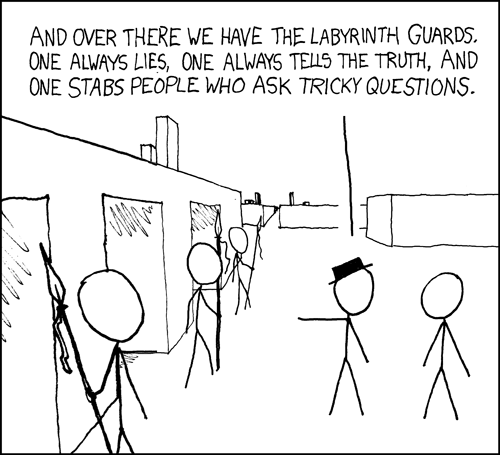 The best creatures to guard a labyrinth? Where to find the best burritos? Only time will tell! - Don’t ask them if they know Gandalf (they probably do, but wizards hate to name drop so don’t make things weird for them). - Don’t ask them what’s up with the robes (They get this question all the time and it makes it seem like you haven’t done your research). - Don’t ask them to cast a spell on you (speaking from personal experience, they will probably give you diarrhea). I watched half of that video and it made me sad to be alive. Is everyone else sad to be alive? Are we all pretty sure that she lives in one of those awful exurbs with rent-a-cops driving around wearing tasers and every house looking exactly the same… where people are sure that no one but gang bangers use mass transit? That is where she lives. I need to go to therapy. All week. It’s a nice little cauldron though. Better than the big old ones. And it looks much easier to burn the ingredients and put them in there, rather than lighting a fire underneath it. Though I suppose if you could also use an ashtray too if you didn’t have a cauldraun. There’s a witchcraft supply store in my town.–they give me dirty looks when I snicker at their wares. Can you ask the Wizard a question for me? Also, have you ate at Chipolte? Delicious 2 lb+ burrito!